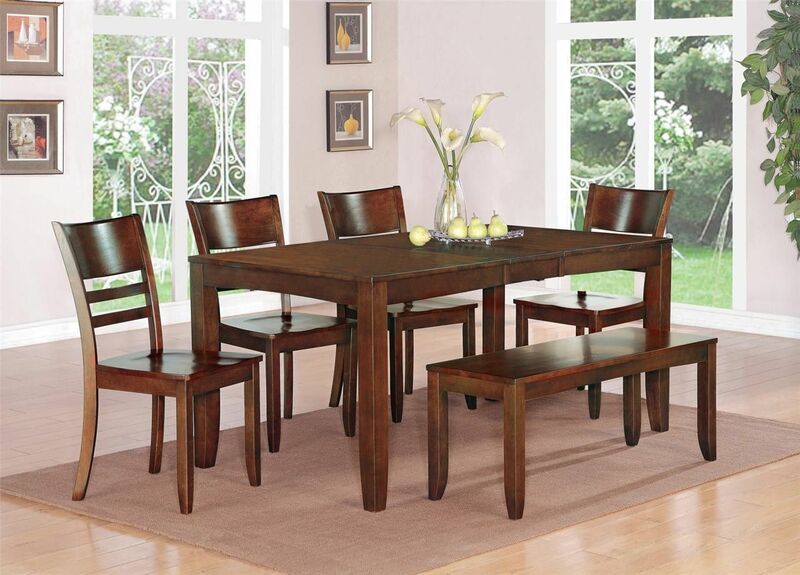 The dining room is a very important room in your home. It's where the family should come together for dinner, to discuss one another's day, enjoy each other's company, and of course enjoy good food. Sadly many families these days seem to huddle around the television instead of a nice centerpiece. So you want your dining room to feel as comfortable as possible. When it comes to your dining room set, your table and chairs that is, it is crucial that they not only serve a mere decorative purpose to your home but are also inviting to your family more then just dinner guests on special occasions. There are plenty of different styles to choose from regarding dining rooms, so you want to match the flow, style, and comfort of your home. You need to determine how much space you have to work with, and exactly what layout your looking for. As for sizes the three basics are square, rectangular and of course circular. But your options don't end there by any stretch, if your into modern abstract decor then the sky is the limit. As for material, wood or glass seem to be the more popular choices, but again, the choice is yours. So don't make this choice too lightly, you want your family to want to sit at this table, and guests to enjoy themselves as well.